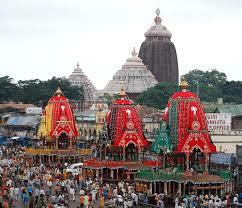 The Lord of the universe, Sri Jagannath, along with His elder brother Sri Balaram and younger sister Srimati Subhadra Devi, will bless the residents of Sridham Mayapur today by riding on Their chariots from the Rajapur Jagannath Temple to Sri Mayapur Chandrodaya Mandir. Like every year, a grand arrangement has been made for this program. 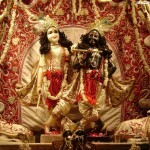 People from all walks of life are invited to participate in the function and receive the blessings from Their Lordships. 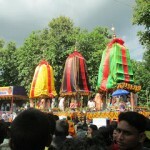 There will be more than one Ratha-yatra today as besides ISKCON, other Gaudiya temples in Mayapur also organize Rath yatras on the same day. 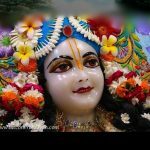 ISKCON Kolkata, ISKCON Habibpur, and many other temples around India will also seek the special blessings of the Lord today. 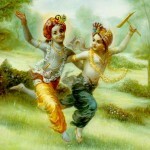 A seven-day program is planned in many cities after which the Lord will go back to His temple. 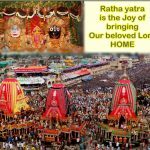 The biggest Ratha-yatra is held in Sri Jagannath Puri dham every year where hundreds of thousands of devotees blissfully pull the Lord’s chariot and perfect their lives. More news will follow.